WordPress – https://wordpress.org , is an easy to use, open-source and free Content Management Software (CMS). It is used to build a website, a blog, or a basic web application. With over 60 Million downloads, since its inception in 2003, it is one of the most used CMS and self-hosted blogging tool across the internet. The main concept is that the RSS/XML feed from the WordPress site like wordpress.com/feed/ is parsed in the app. 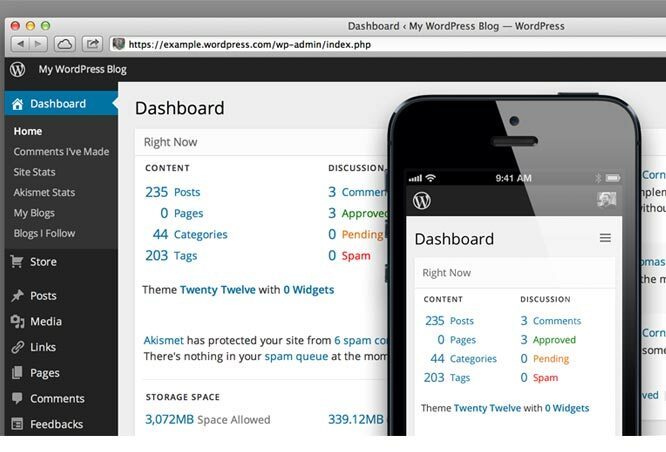 From WordPress site, admin can add posts or categories and users can view it in-app. From app, the users can view category wise posts with links to respective menus, articles, photos etc.